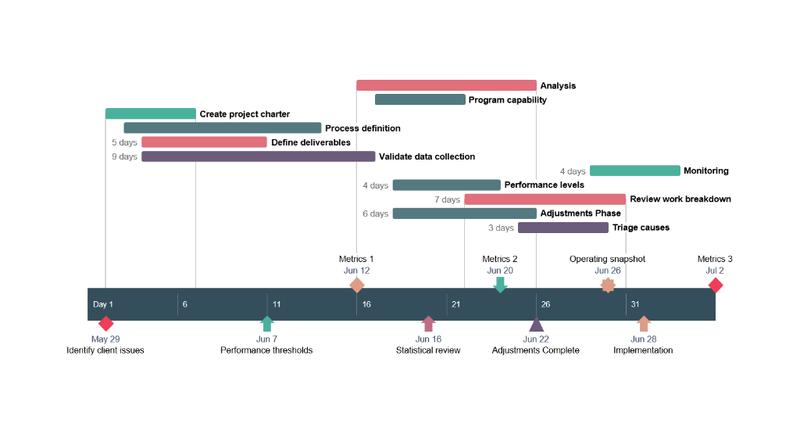 See how simple it is to create Gantt charts and timelines for your project with our free web-based app or our free Power-Point add-in. 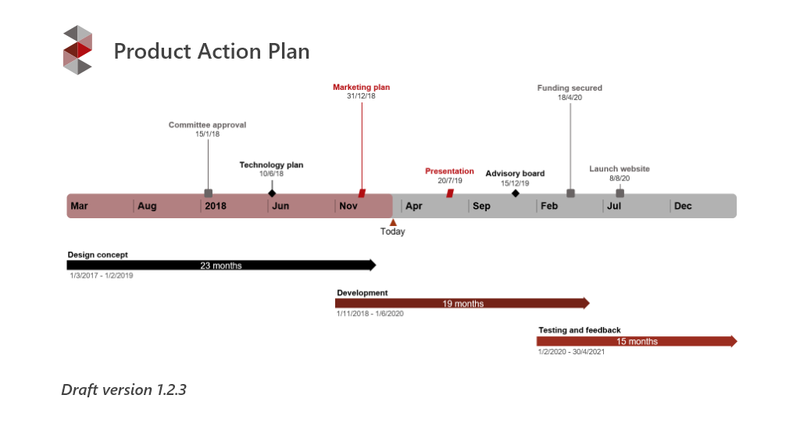 Do you want to make Gantt charts directly in PowerPoint instead? Then check out our free add-in for PowerPoint. 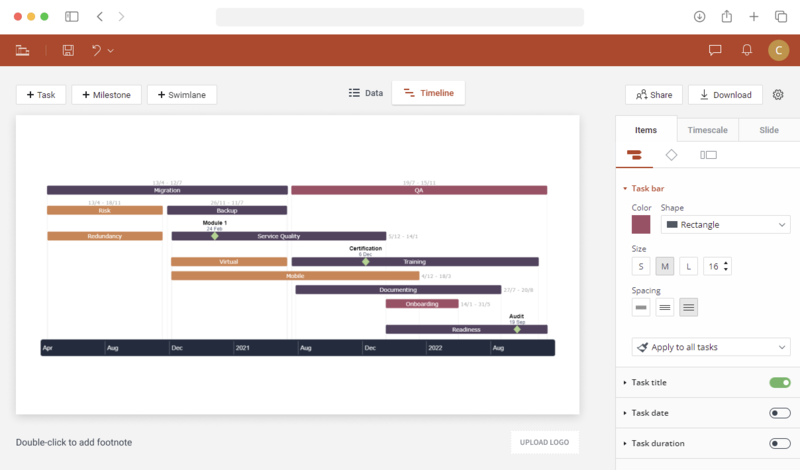 Built directly inside Windows to help you create and style Gantt charts and timelines with just a few clicks. 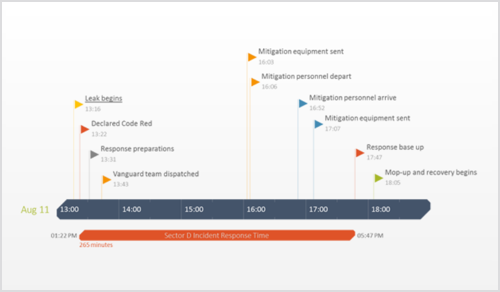 Engage your stakeholders with clear, simple Gantt charts and timelines. 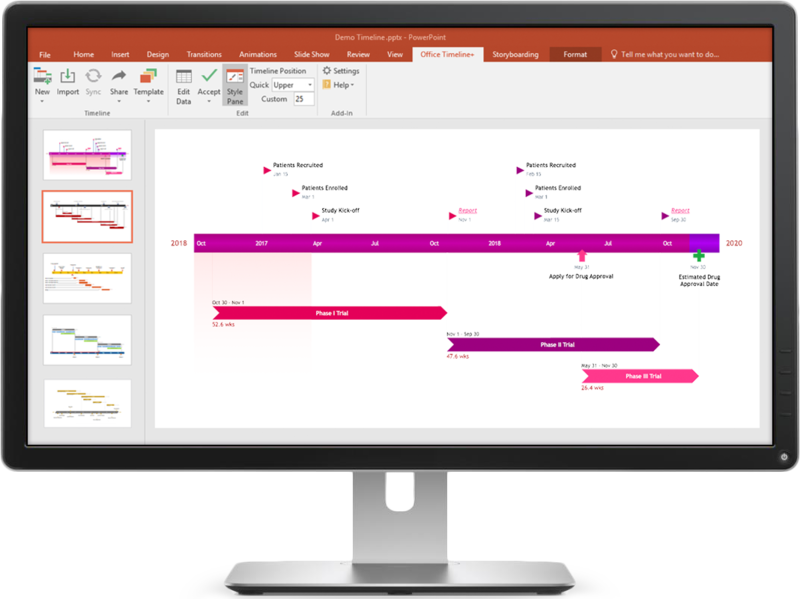 Office Timeline Online is a free, accessible Gantt chart and timeline maker that helps you communicate visually. 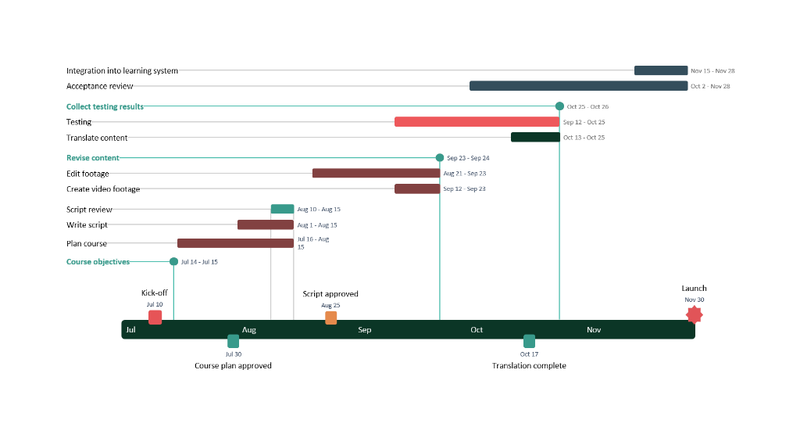 Build online Gantt charts that are easy to understand by everybody - clients, teams, and managers. Why choose between a web and a desktop app? 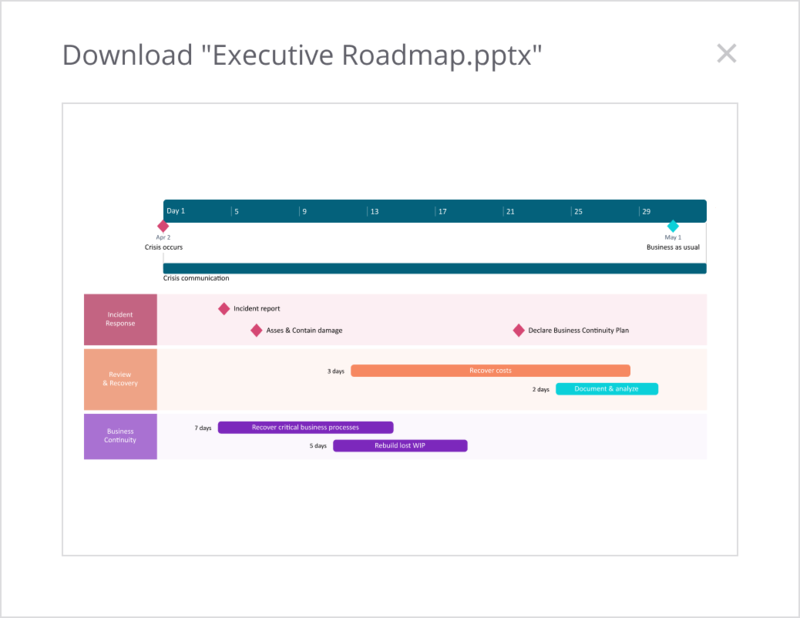 Combine the flexibility of a cloud-based Gantt chart maker with the familiarity of the best presentation software for important meetings. 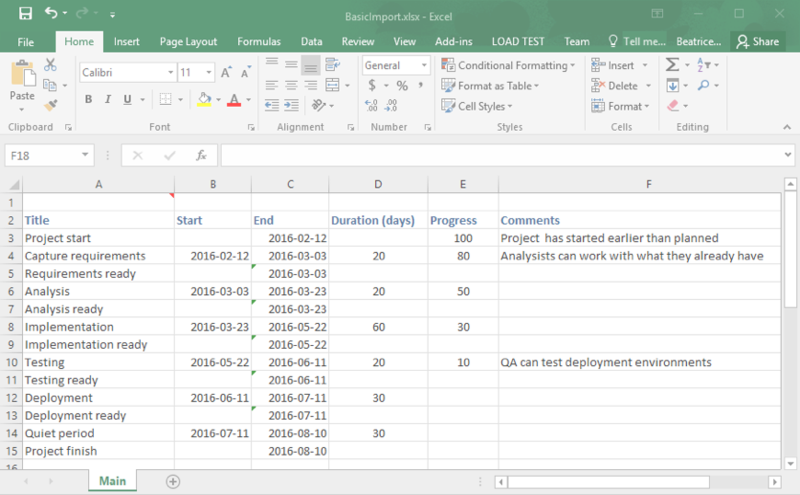 With Office Timeline Online you don't have to start your Gantt chart from scratch if you manage your project data in an Excel file. Just import from Excel using the easy drag & drop function and our software instantly creates a Gantt chart for you to style as you wish. Use the web app to create timelines online wherever you are and download them as native PowerPoint slides. Open them in PowerPoint, edit them, share them, or present them like any other slide. 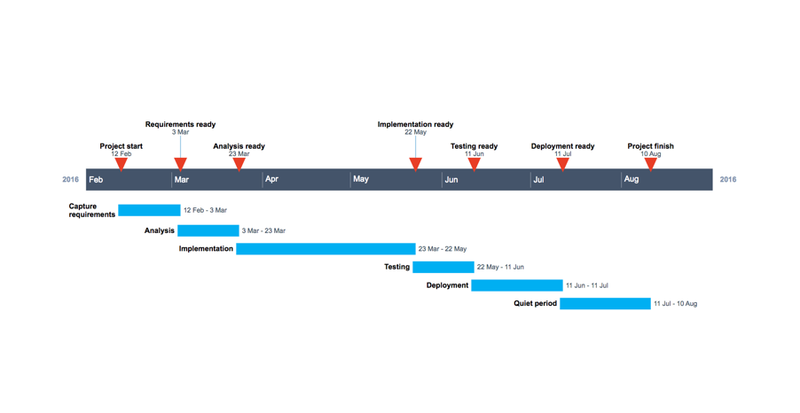 Office Timeline Online has simplified our project management immensely. I manage a team of service designers who are not usually experts in project management but the highly visual interface and ease of use has made managing our projects a breeze. 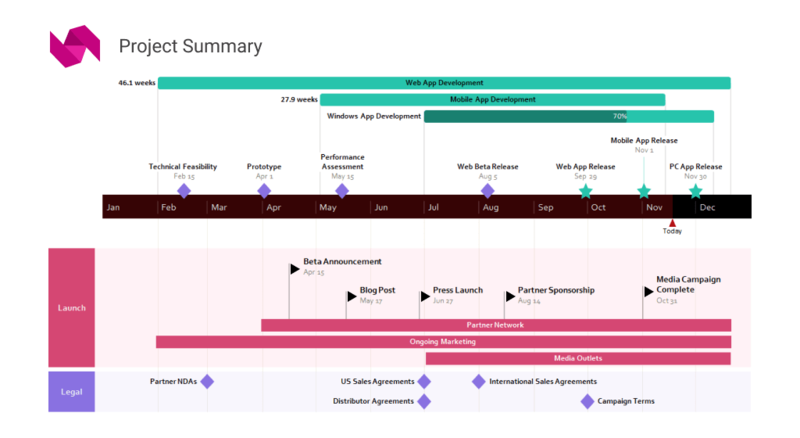 We cannot imagine using any other project Timeline tool that is as easy and beautiful. 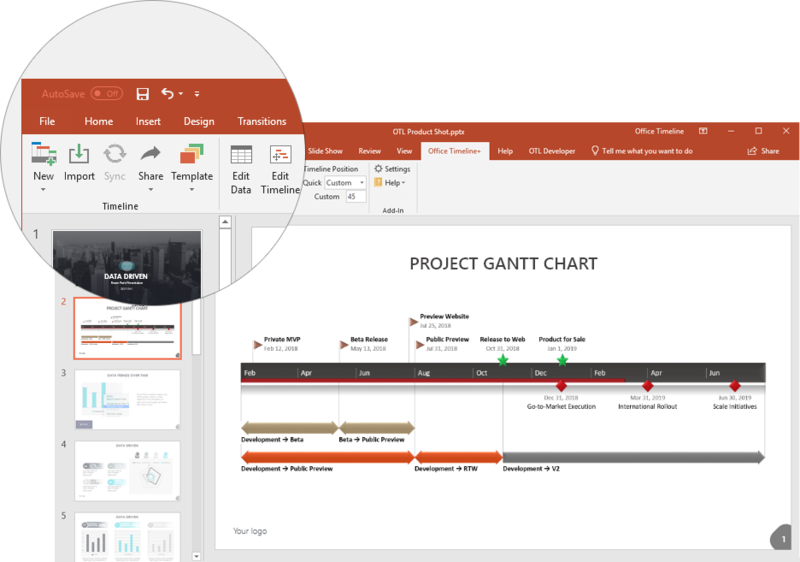 Office Timeline Online provides me with a really quick way to create and maintain PowerPoint timelines from the web. 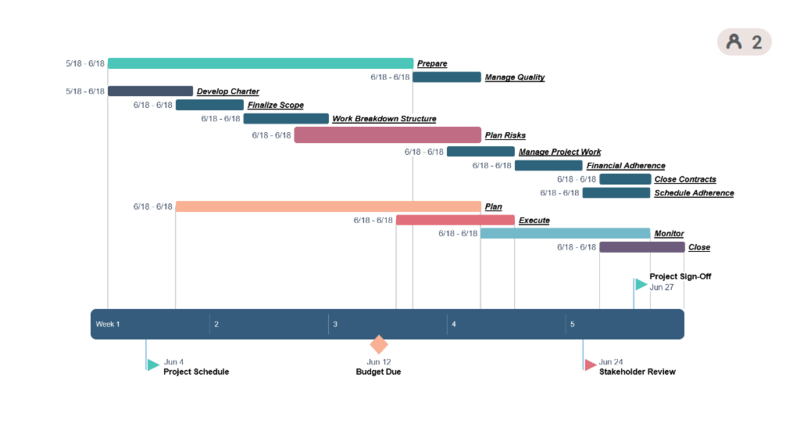 I use it to make executive timelines for presentations to our VPs. The bright colors and distinctive shapes make it easy for them to quickly understand what’s at stake, and my slides always stand out. 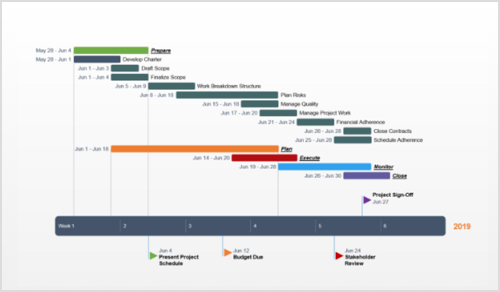 Create professional Gantt charts in seconds. 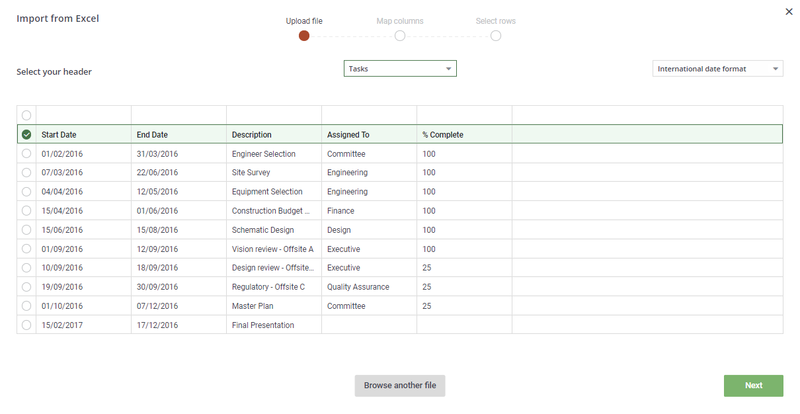 With Office Timeline Online you can build a roadmap for your project in no time. The Free edition has all the features you need to get started right away so you don't waste any time with installations and activations. Check out the benefits of Plus Edition. 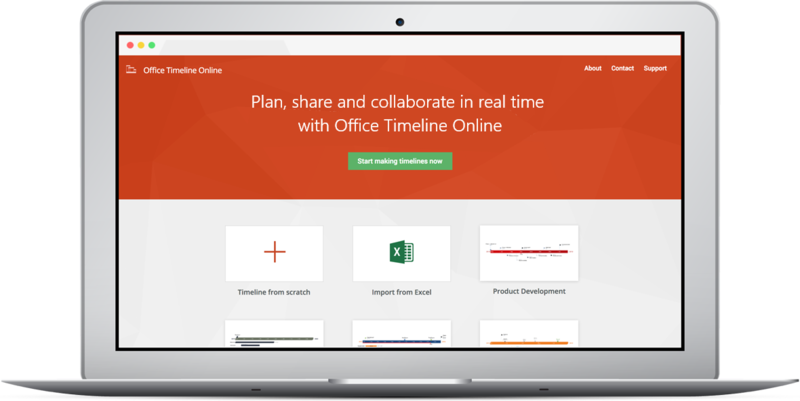 While the Free edition of Office Timeline Online gives you full access to the app's powerful features, with Plus you can do much more. Communicate more data, save more Gantt charts, download more slides.